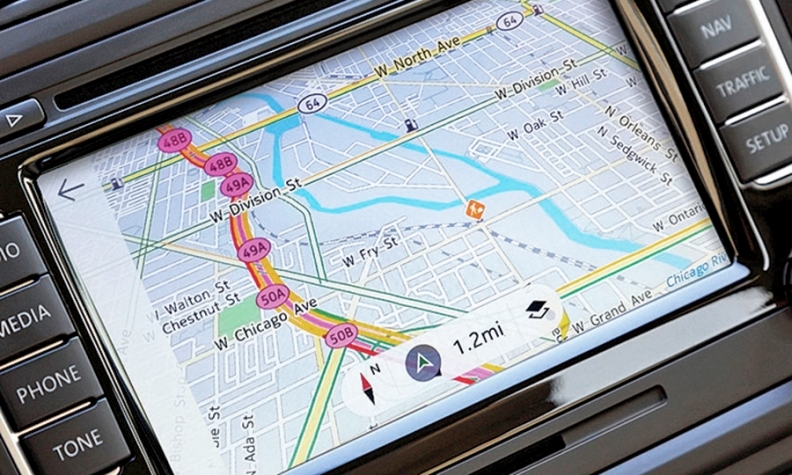 Nokia's HERE has become one of the auto industry's most dominant map suppliers. FRANKFURT (Reuters) -- Audi, BMW and Mercedes-Benz have reached a stand-off with Nokia in their joint bid to buy the Finnish company's maps business HERE, while rival offers appear to be unravelling, sources familiar with the process said. Talks between Nokia and the German carmakers over the sale are ongoing but have reached a difficult stage as important details such as price and structure are finalized, two auto-industry sources and two financial sources said. The carmakers are feeling less pressure to pay a high price to clinch the HERE deal amid signs that rival bidders such as Uber, the Silicon Valley-based taxi-hailing service, have dropped out of the race, one of the financial sources said. Analysts estimate the potential value of HERE at between 2 billion and 4 billion euros ($2.2 billion to $4.4 billion). "Talks have not broken down, but they are at a delicate stage of brinkmanship," said one of the auto-industry sources, who declined to be named, because the talks are confidential. Audi, BMW and Mercedes declined to comment. Uber also declined to comment. Luxury carmakers see high-definition maps as an essential tool to help them bring self-driving cars, with collision warning systems, to the market as a way to differentiate their vehicles. Germany's carmakers are major clients of HERE. That gives BMW, Daimler's luxury brand Mercedes and VW's premium brand Audi some leverage in the auction process, since other buyers would see HERE's value shrink if the carmakers stopped using it or switched to a rival maps supplier, such as TomTom of the Netherlands. A spokeswoman for Nokia declined comment, saying only that it continued with a strategic review of the business which may or may not result in a sale of HERE. The Scandinavian network equipment maker is reviewing its businesses as it looks to focus on its core mobile network equipment business and is pursuing a 15.6 billion euro takeover of French-American rival equipment maker Alcatel Lucent. It has been soliciting indicative offers for HERE and is now demanding that interested parties submit a binding offer. At least three groups expressed interest in the asset during the process when non-binding offers were solicited: the German carmakers, a consortium including Uber and China's Baidu , and a third group led by Chinese social network and online media company Tencent, people familiar with the process have said. Some parties have subsequently pulled out and the makeup of the different consortia remains in flux. Others have signaled they want to "join the winning bid" and are flexible about their allegiance, another financial source familiar with the matter said. The carmakers are loathe to see HERE fall into the hands of rival technology firms. That could compromise their access to high-definition maps, potentially slowing their ability to expand in the area of connected cars, which Exane BNP Paribas says could grow into a $50 billion market. Autonomous cars can navigate routes by using data gathered from cameras and laser sensors to identify obstacles and cross-reference this with data about the location of fixed points like roadside kerbs and traffic lights recorded in high-definition maps. As part of their offer for HERE, the German carmakers have pledged to continue investing in the unit for a number of years, and have agreed to contribute live data gathered by sensors on board their vehicles, said the second carmaker source. The German consortium has been in talks with private equity firm General Atlantic to give them the option of adding financial muscle to their offer, sources familiar with the transaction previously told Reuters. While General Atlantic is currently not part of the German companies' negotiating team, it could join their consortium at a later stage to act as a "neutral referee" with other potential partners, one of the sources familiar with the deal said. Previously, a financial source told Reuters that private equity firm Apax had joined Uber and Baidu in a second consortium, which now appears to be unravelling. Apax and Baidu declined to comment. Last month, Microsoft agreed to sell some of its map-generating technology to Uber for undisclosed terms, under a deal in which Uber will offer jobs to the 100 or so Microsoft employees working on image acquisition and map data processing, according to a source familiar with the deal. Fast-growing Uber, which is shaking up established taxi services worldwide, already uses a combination of map services from Google, Apple and Baidu, and the source said it would continue to do so. NavInfo, which linked up with the Tencent group, in late June said it was not making an offer for the Nokia maps. For Audi and BMW, beating Baidu to acquire HERE would be a delicate matter since they also have cooperation deals with the Chinese company on issues such as developing autonomous vehicles and map data in China.